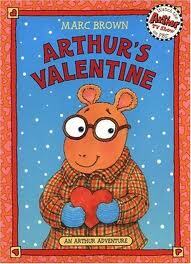 Well, winter is really here....and it's time for curling up with some good books! For our special display this month we've gathered a whole collection of books that relate to winter in some way--snow books, ice books, stormy books---come on in and check some out! This is the story of Claire, who loves to skate, and has been skating w/ friends on the cowpond behind her home since they were old enough to walk. When she is offered a scholarship to study with an Olympic coach at Lake Placid, she is able to take her skating to new levels, but are the sacrifices she and her family must make worth it? 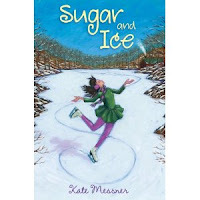 I'm not much of a skater, but I really enjoyed this one--it has the excitement of competition, the challenges of new friends and not-so-nice teammates, and the struggle of a likable character to find out where she fits in the world. 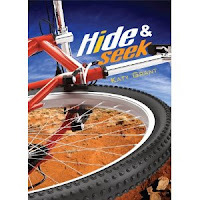 Hide and Seek, by Katy Grant, features another likable character.This time it's a boy, Chase, who lives in the mountains of Arizona. When out "geo-caching" one afternoon (do you know what geo-caching is? 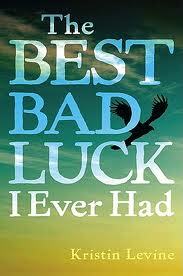 If you don't, you will after you read this book---I want to try it!) Chase discovers a note asking for help, and the mystery begins---Who left the note? Where are they? Why are they hiding? Chase is a good kid who wants to do the right thing, but sometimes it's hard to figure out just what that is...Hide and Seek is a great suspense/adventure story. 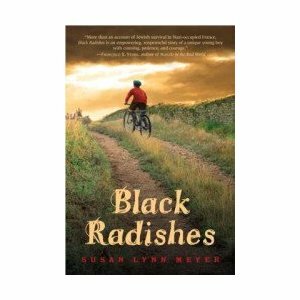 Speaking of suspense, there are definitely some scenes that will have you chewing your nails in Black Radishes, by Susan Lynn Meyer. 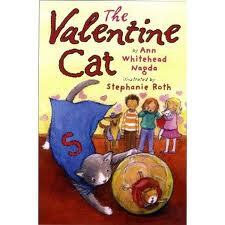 Set in France during World War II, this is the story of Gustave and his family. As the story opens, they are living in Paris, and just becoming aware of how precarious their position is, as members of the Jewish community. The story follows them on their journey into the French countryside to escape detainment, and their efforts to make their way to America. This book does a particularly good job of describing Gustave's life as just an "ordinary kid" and his feelings as his life becomes defined by his Jewishness. 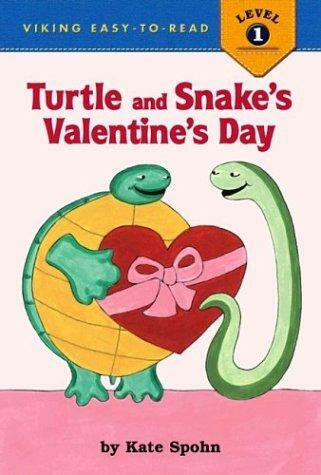 Lots of food for thought here, but it's also just a good adventure story. After all of this realistic fiction, I needed something fun and fantastical! 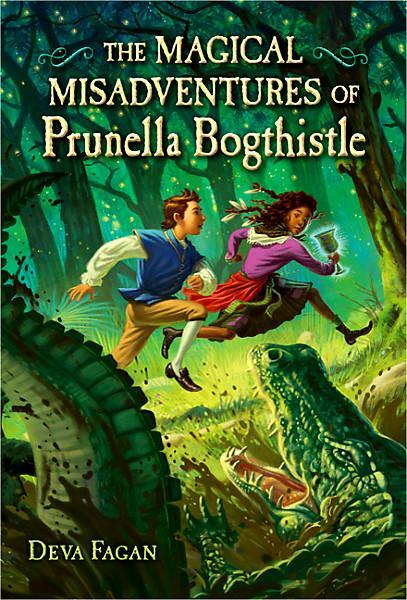 The Magical Misadventures of Prunella Bogthistle was just the ticket. Poor Prunella is a "bogwitch" who doesn't seem worthy of the name. The few curses she's been able to set just haven't turned out right---instead of harming people, they've helped them! 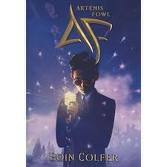 Determined to redeem herself, she sets off on a quest, and is soon teaming up with Barnaby, a young man who is searching for the magical Mirable Chalice. Although we may suspect from the beginning that Prunella and Barnaby will end up achieving things that are very different from the goals they set out with, it's great fun watching the story develop. 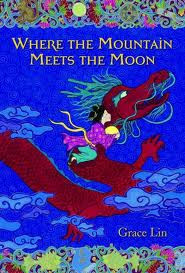 There are giant alligators, nasty spiders, evil queens, and lots of magic--what more could you ask for? If you're looking to curl up with a good book---give one of these a try!